Hi everyone.. First I would like to thank Lakshmi Venkataraman and Deepak Raghuraman for giving me this award.. 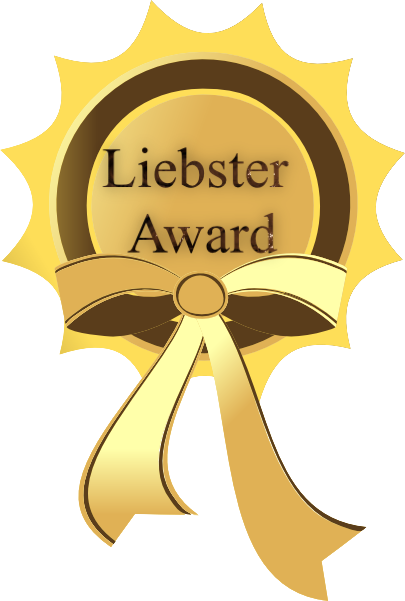 This is my first ever Liebster Blog Award and got from two.. Thanks friends...I dedicate this award to God, parents and to all my well wishers..
Liebster is a German word which means 'dearest', 'sweetest', 'lovely', 'pleasant', 'valued', 'welcome' and many more.. As I was unaware about this award, I searched about it in Google and found its meaning.. The liebster award is given to the upcoming bloggers who have less than 200 followers..
* Each person must post 11 things about themselves..
* Answer the questions that the tagger set for you..
* Choose 11 people and link them in your post..
* Set 11 questions for those 11 people you tagged for answer..
* Go to their page and tell them..
* No tag backs ..
1- I'm basically a nature admirer..Love my family,friends, close ones..They mean a lot to me.. Friends are my world indeed..
2- I believe that whatever and whomever we face in life are gifted to us by God , even the struggles are sent our way to build and strengthen ourselves..
3 - I love to be unique and I'm..
4- I love cricket and a huge Dravid fan..He is one of my inspiration.. I like other sports too, such as hockey, badminton, football, carom and chess.. But cricket is my favorite.. In general I believe sports teaches a lot to an individual on aspects like being fit and relaxing the mind..
5- I'm passionate about journalism.. I love writing and reading.. I like reading adventures, novels, biographies and spiritual books..
6- Love listening to Music, especially melodies..It eases off all the stress..
7 - My favorite colors are Lavender, all shades of blue and pink..
8 - I love home made foods especially my Mother's veg.biriyani and chapatis with variety of side dishes.. Despite this, I like eating outside with my family and friends at different places..I love cooking new recipes and learning little from the best chef- My mother :) ..
9 - One of my ambition is to be a part of some social causes and non-profit organisations that serves people and our environment.. Hoping to do it in action soon..
10 - I love photography and travelling(especially long-distance travels).. It paves the way for admiring our paths to the destination.. As I heard it somewhere, the paths are more beautiful than the destination..
11 - Last but not the least, I'm here in this world to achieve something for what God has created me and I'm on the way to reach it.. I love the paths I traveled till and yet to come.. Everything is gifted by the Creator.. Thanks for spending your valuable time..
1. Euthanasia is illegal in India. Do you support it ? No I do not support it. 2. East, West, North and South are the directions which have been named so by man for convenience; If given a chance to change what will you change it to ? I wish they remain the same..
3. Will social media interactions replace personal contact in the future ? I don't think so.. My point is that all individuals have to make an effort not to sink personal contact because of social media as we may miss the livelihood..It matters on how well we manage and it depends on priority too..
4. If you could talk with one author/poet/writer/photographer/cook(any one) who would it be ? Nice question..There are many to mention.. The first one who comes to my mind is Barkha Dutt..Then others to be mentioned vitally are C.Gopinath, Lakshmi Sharath, Sudha Umashanker and Rahul Dravid..
5. Why do you blog ? To be honest, I started blogging just as a pass time and to know about it, slowly I realized its worth and I feel its a great platform to create awareness and share our views to our people around the world..
6. Is sarcasm healthy ? I don't think it is always healthy..
7. Does the dress one wears, music they listen to, people they hangout with etc etc, define what their character is ? Yep it defines one's character to an extent.. Actions do speak more than anything..
8. What is the most beautiful place on earth ? Its my Home sweet home :) and all scenic places..
9. What will your super-power be, if you were in a position to acquire just one super power ? I would go for dedication, sturdy and determination to be a super-power..
10. Which is the best place to be in Chennai and at what time, season is it ? Tough to pick one.. I would say Chennai would be at its best in December as Margazhi Utsavam,Christmas and New year were lined up at Mylapore, Alwarpet and Annasalai.. Then don't miss the Theosophical society for its natural beauty and The Elliot's beach.. There are number of streets in Parry's where you can shop for everything and T.Nagar shopping also to be mentioned..
11. What do you think Chennai is best for ? Chennai is best for its Traditional culture and heritage, integrity of people from various places and its traditional foods..
1. What is the most happiest moment day in your life and why ? Its hard to pick one... Time spent with my family, friends, close ones makes me happy always..
2. Who is the one person who inspires you most and why ? Obviously my Mother comes first here.. She inspires me in all the way she is.. Then it is Barkha Dutt and Rahul Dravid..
3. How you want to see yourself in the next three years ? Nice question.. I would be doing my dream job and accomplish my goals on both personal and social front..
4. If you have given an opportunity to create and implement one social awareness campaign, what would it be ? Well, It would be an 'Environment awareness programme' and 'Education for all' campaign..
5. What is the best blog you have ever read (can restrict to blogs of CBC members) ? I would choose 'A travel blog of an Indian Backpacker' by Lakshmi Sharath..
6. Education or Experience - What would you vote for ? You should select one and tell why ? I vote for Education here.. As Education brings you all awareness, it also gives you experience..
7. You are given a option to have a conversation with one person, who is no more. who will you choose and why ? I would like to speak with my Grand father(My Mother's dad) who is no more, I lost him when I was 12 years old.. He will be so affectionate on me and he will be proud to see me now..
8. What did you want to be when you are a child and what you are now and what you want to be in future ? I just wanna be a good Human-being always..
9. Make a rhythmic prefixes for the 7 days of week ? It would be Scintillating Sunday , Majestic Monday, Triumphing Tuesday, Wondrous Wednesday, Twinkling Thursday, Fabulous Friday, Speedy Saturday. 10. What is the Best and Worst in Blogging ? The best part is you get a platform to share on whatever you want people to be aware of, the worst part is when it gets unnoticed..
11. If a movie was made about your life, what would be the title for the movie and who will you choose to play the lead role ? I would give a title as 'On the paths of my Journey' and I would choose one of my close friends to act in it..
1. What blogging means to you ? 2. Your favorite hangout in your city ? 3. If you are given a position of authority in our country, what change you will bring in and on which field you would give prime importance ? 4. Share your views on child labor.. Do you think that child labor has been eradicated ? 5. What is your favorite musical instrument ? 6. Test cricket examines a player more accurately than the shorter versions.. Whats your take on this ? 7. Do you think that our environment(trees, forests etc) is conserved properly, what would be your part in conserving the environment? 8. What brought you to blogging and when ? 9. Citizen Journalism - your views on it ? 10. What is your most memorable moment in life ? 11. Name your favorite city other than your own..? Thanks for reading and Best wishes to all !!!! Awesome !!! "paths are more beautiful than the destination" - Wonderful quote. And your answers are amazing. Good one overall. Congrats Sushmitha for your Liebster award. Thanks U so much for nominating my blog for the award. I am really delighted and feel honored. Thanks Jahid :) Congrats for your award too !! Thank you so much for nominating me for the award! I am new to this blog and very happy to see your admiration and love for nature and environment. Keep going :) Congrats for the award. Nice to know about you . Specially About liking for Rahul Dravid. Liking for lavender and blue means that you are very pleasant and cool person. for honoring me with Liebster . I have already been nominated just few days back. Thanks a lot Vishal ji :) Your welcome and Congrats your award too !! Add your valuable comments here ! An IT graduate who is passionate about Writing and Journalism. An ardent Nature admirer and a Cricket fanatic.